The Tornados are like do-it-yourself Hot Pockets, but without all the chemicals and preservatives. You can bake them, let them cool completely, and then wrap them in foil and toss in the freezer for lunch at a later date. I also like that even though these get all big and puffy, there is no rise time. 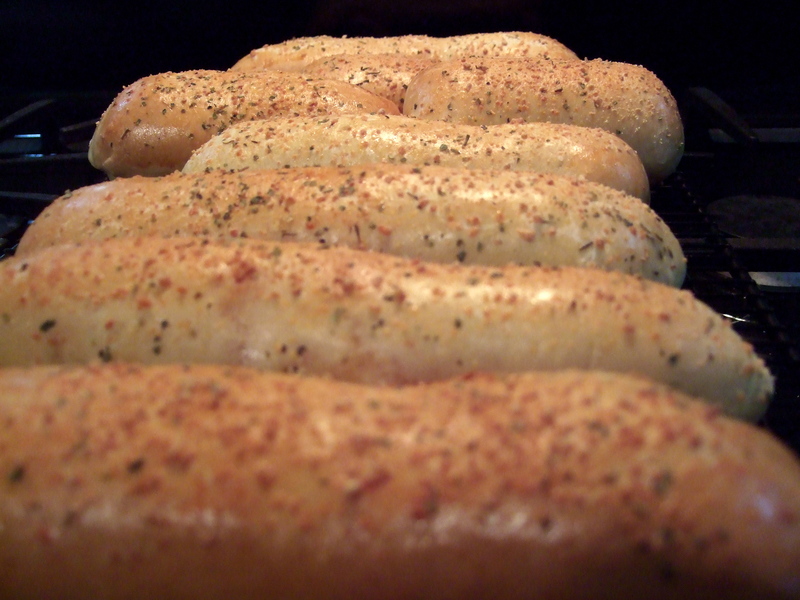 You just make the dough, fill, roll, and bake. You can also use frozen bread dough that’s been thawed. Now that we’ve made these by the book the first time, we’re excited to try all different flavor combinations. Maybe pear/turkey/brie, italian sausage and mozzarella, or something sweet like apples and cheddar. The possibilities are endless! Read the rest of this entry ?